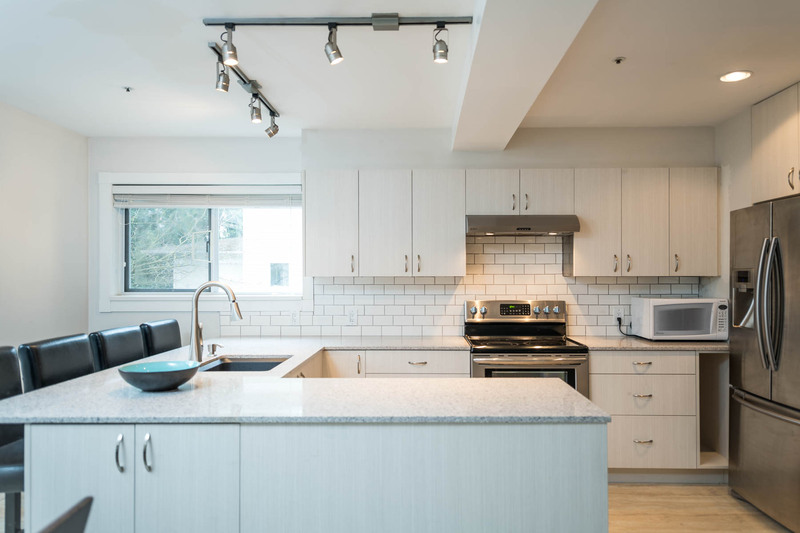 Tucked into the blossoming Cedar Cottage community on a quiet, treed lane – this well maintained boutique strata has just 9 units. The lower level features heated floors, a full bath, a bedroom, laundry & an attached garage that’s been converted into a den + ample storage. The bright & spacious mid-level offers a massive living room with fireplace & access to the large patio with a quiet outlook. The airy, brand new kitchen is complimented by stainless steel appliances, stone counters, breakfast bar & dining room. The top floor has a lovely light-filled master suite with sparkling new ensuite bath, tons of closet space & private deck. Steps to beloved Lord Selkirk Elem (French Immersion), Tyee Montessori, Clark Park, Trout Lake, library, Famous Foods, transit, restaurants, shopping & more! Check out all of the details of this townhouse for sale, 3-1568 EAST 22ND AVENUE in Cedar Cottage! We are top Realtors in East Vancouver. Have any questions for us? Contact us at 604-782-2083 or email [email protected] See you at the Open House!